Dry mouth: something you may not have even heard of, but it’s a much more common problem than you might think. It’s something that can affect you at any time of your life, although it is more common as you age – apparently one in five older people will experience a dry mouth. It’s also reported by the Oral Cancer Foundation to be the cause for up to 30% of all tooth decay in older adults, so it’s worth knowing a bit about. We’ve put together this handy guide to dry mouth with the help of some experts, it covers causes, symptoms and what can be done to help. ‘Dry mouth’ is not an illness in its own right, it’s a symptom that has many causes. As you may expect from the name, it describes the feeling of having a dry mouth (xerostomia) and the actual reduction in saliva in the mouth (hyposalivation). 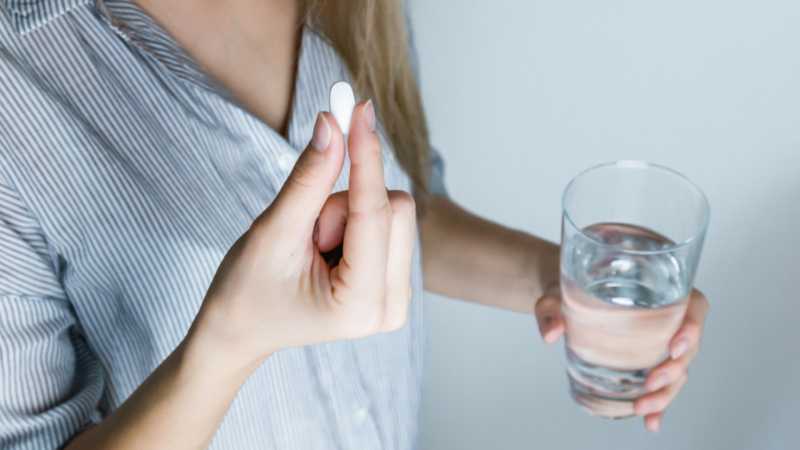 There can be lots of different causes for dry mouth, from chemotherapy to nerve damage in the salivary glands, but the most common is as a side effect of medication. Over 400 different medications (including antidepressants, antihistamines, beta-blockers, diuretics and many many more) can affect the flow of saliva. We also hear from lots of people who get a dry mouth after their salivary glands are damaged by radiation during cancer treatment, and there are some diseases that particularly affect the salivary glands, including Sjögren’s Syndrome and diabetes. Saliva is very important. Normally your mouth constantly produces it to stay moist and to help break down the food that you eat. Importantly saliva not only washes debris from your teeth but it’s also supersaturated with various ions. When you eat or drink, the bacteria in your plaque will break down sugars to produce damaging acids. Your saliva contains ions (including calcium and phosphate) that buffer these acids, neutralising the acidity in your mouth. This process is key to preventing damage to your tooth enamel. Naturally, if you don’t have enough saliva it’s going to cause some problems. Along with discomfort, it can make chewing, swallowing and even speaking difficult. The chance of tooth decay is also significantly increased as the saliva is not there to wash away bits of food or neutralise acidity. This is particularly important when your gums recede as this exposes the much softer root dentine which decays more readily, meaning holes can develop near your gums whilst the crowns of your teeth remain sound. People with dry mouth can also notice cracked lips, bad breath, a sore throat and interrupted sleep (due to discomfort or thirst). Plus, the risk of mouth infections like gingivitis also increases. Ideally, you would be able to treat the underlying cause of dry mouth, however in many cases that’s not possible as there may be no choice but to take a certain medication. If a specific medication is causing discomfort it may be worth speaking to your doctor to see if the dose can be adjusted or if there’s an alternative drug to try. What about relief for dry mouth? First up they promote saliva which can provide relief and return your mouth to a pH neutral level. Secondly the xylitol gives you extra protection against tooth decay (you can find out how here). People with very sensitive mouths may prefer our lemon mints or strawberry pastilles to the peppermint ones as they aren’t as strong. You can see all our products here. Oh and in case you’re concerned, all our flavours are pH neutral. Plus, we offer a money back guarantee if you try our products directly through our website and they don’t help to alleviate your symptoms. Just get in touch and we can chat about issuing you a refund. If these tips are not enough, your doctor may be able to prescribe a saliva substitute. These can come in gels or sprays and some (but not all) people find they help. And finally, if you have a dry mouth please make sure you see your dentist regularly. As we said people with a dry mouth are much more likely to get decay so even if you are having xylitol mints & gum, see your dentist or hygienist as often as they recommend. If you have any questions or feedback on this article please get in touch at hello@peppersmith.co.uk, we always love hearing from you. The post Dry mouth: everything you need to know appeared first on Peppersmith.